Color Swatches Pro is a Magento color selector module which presents configurable products on a new level by animating boring text attributes. Use advanced color swatches to be creative in your products positioning. 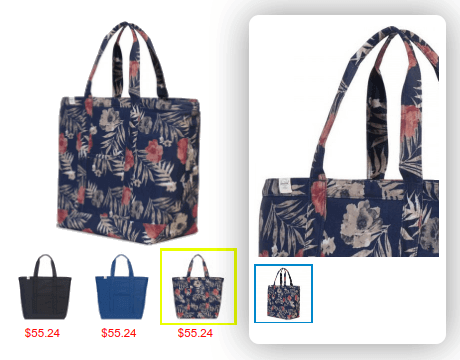 With this Magento configurable product image switcher customers can select image attributes as many times as they want to see different variants of the product, zoom images and eventually choose what they like. By default in Magento you have to specify price difference for options of configurable products. E.g. color green +$10. No need to do this annoying thing anymore – now price of the simple products will be used automatically. So if you import a few thousand of associated products with updated prices, you will not need to spend a couple days updating price difference for configurable products. Adjust the display of simple product prices to your needs. 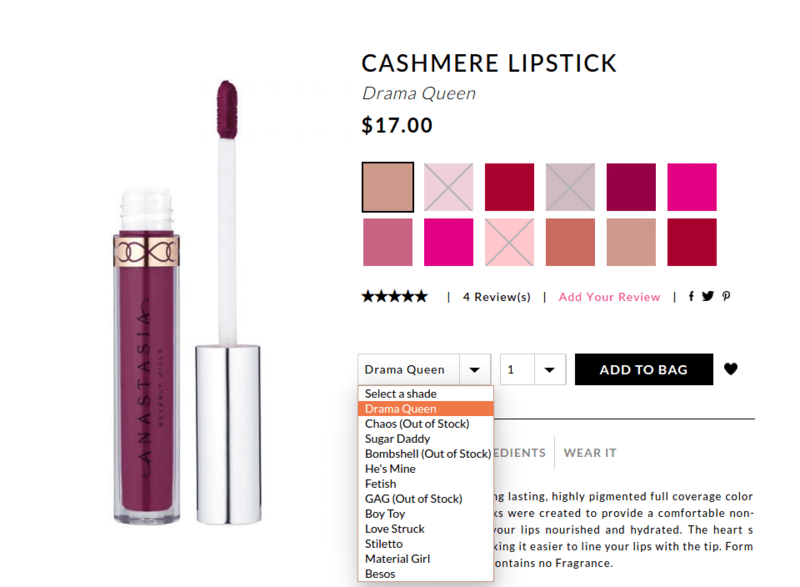 With the extension you can show them right under size swatches as swatch labels. 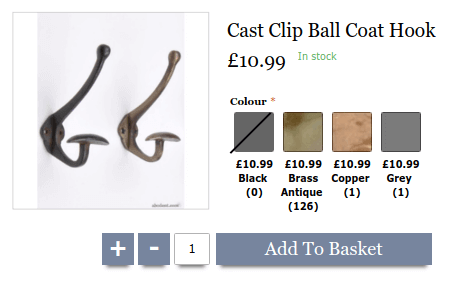 This handy option will make your product pages much more visually attractive and improve customer shopping experience. Now you can display prices of simple options associated with configurable products in drop-downs. It's possible to choose whether to show actual price or the price difference. Upload images for all attribute sets for configurable products and then use the images for selection of configurable product options. In case you need a solid color for any product attribute you can use our Color Picker option with a color palette. Moreover, it will take you only a few seconds to set a product color thanks to using CSS files. 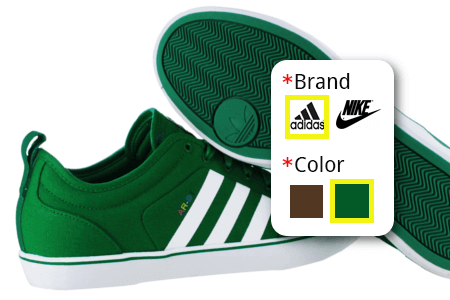 You can save some time by using resized images of associated simple products for swatches of one of the attributes, e.g. color. Also this enables you to have unique Magento 1 color swatches for each configurable product. All you need to do is select the attribute for which the feature should be activated. It can be selected individually for each product. In fact they are multi-language means of communication, which don't need to be translated. It will be a lot simpler and quicker for customers to select the right options. With lightbox and product zoom options you make the process of image viewing a lot more user-friendly. Alternatively you can use images together with text. Upload a dummy image that will be used if no image is set for the attribute. 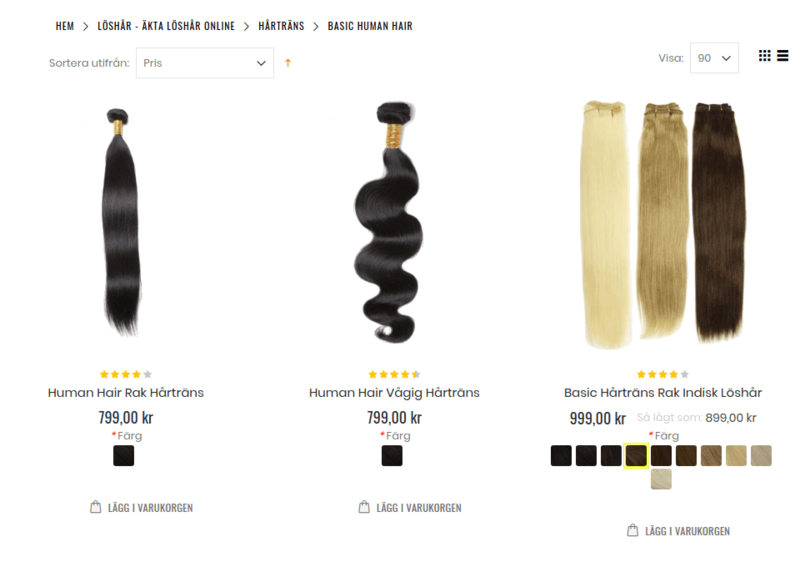 To keep your category pages clean you can manage the number of swatches displayed under the main product image. In case the number of visible swatches is limited customers will see a link like "More Colors Available". Due to the Out of Stock Option you can indicate which products of particular color or size are out of stock. This will help customers faster make their choice as they will immediately notice which product configurations are not available at the moment. Display text labels together with zoomed product images. Customize label's display by specifying its position, background and text colors. Display attribute icons on category pages. Let your customers select options and add configurable products to cart right from the category page. You can show icons for all attributes of configurable products, so customers will be able to select all product options on the category pages. Enhance display of configurable products on category and search results pages by reloading Magento configurable product images when some configuration is selected. Use these features to make configurable products easy to buy and get more orders. Display Color Swatches with AJAX mode to speed up category pages download (in comparison to "default" extension settings). Enable Reindex option to improve category pages performance. Update product images and description according to customer input (with ajax). The module can automatically load images and descriptions of the associated simple products chosen by customers. Let’s say a customer chooses nike brand and green color - the extension will show the images and descriptions of the simple product which stands behind these selections. 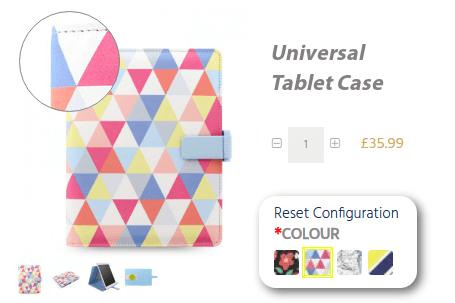 This configurable product images change will let you present products in an attractive way. Zoom and Lightbox effects work both for default configurable product images and for images loaded based on customer selections. The extension will automatically select value for the attributes which have only one option available. For example, there is a cap which has three colors to choose from. 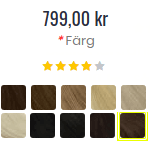 When a customer chooses a color swatch with only one size available, the extension will automatically select the size. If you haven't uploaded images for some options of configurable products, now you can use default image for such options. Full size images and zoom of particular details. Change thumbnail image size to adapt them to the style of your store and make the thumbnails looks as an integral part of your site design. Lightbox option provides a good view of full-size images and user-friendly picture display. Zoom effect offers to closely examine all the product details. Ability to reset chosen product configurations. Unlimited number of image attributes, which is especially handy when you sell products of high complexity. Ability to specify dimensions of attribute images on product and category pages. Ability to set up parameters for tooltip display. Zoom effect for color swatches on mouse over. Attribute images are added by simply dragging & dropping them into place. Now when you set different product attributes, product page URL is changing. New URL parameters are added to the current URL via # symbol. So it's possible to share URLs with predefined product options. Possibility to display price for configurable products as "From X.YY"
Thanks to the extension you can show the price of configurable products in the "From X.YY" format. For example, if simple products have a difference in the price and the cheapest is equal to $12.50, you can display the price of configurable item as "From $12.50". Clearly inform customers about stock situation with Custom Stock Status extension. Create an unlimited number of custom stock statuses, accompany them with nice icons, assign statuses to products manually or automatically and benefit from automatic quantity-based statuses. Let your customers upload images for products with Customer Product Images extension. They will provide real-life examples of product usage and motivate other customers to place orders faster. Furthermore, you can greatly enhance your web store visual presentation with free Amasty product labels' pack. Apart from the functionality of the Color Swatches Pro extension, you can improve your shoppers' experience with Configurable Product Matrix module, which is a handy tool displaying all the available variants of a configurable product with size, price, discount, and available quantity. Wondering how to add Magento product filter "by color"? Try this Magento color filter extension. 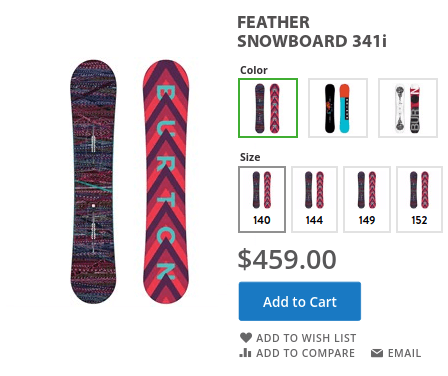 Make the shopping process closer to reality - add images to product attributes selection. Allow your customers to use Magento color filter to speed up the choice and benefit from purchases growth. Yes, the Magento Color Swatches extension with zoom and lightbox can be customized, so that you are able to use the features from your store theme. But you need to disable them in the module. Read on to see the settings. Yes, now you can make all the attributes visible on loading a page for the first time. With the extension, you can display any product attributes as swatches. Does your extension support PNG images? Yes, the module supports PNG images as well JPEGs. Does Color Swatch extension support multiple product attributes? Sure. You can use as many attributes as you have in the configurable product. Does Color Swatches Pro work for bundle products? No, Color Swatches Pro extension supports only configurable products. Can the main image be changed when only one attribute out of two is clicked? Yes, it is possible to change the main image only for one attribute, for example, for “color” but not for “size”. Can a particular option be preselected? Yes, but Magento color swatch auto select works only if the preselected option has a single value. In other cases, you can use our Configurable Preselect extension. Yes, with the extension you can create various attributes. Besides, you can assign images to all attributes, so your customers will be able to choose all the options of a configurable product on a category, product or search results pages. Go on reading to see the screenshot. Yes, it is. The module takes into account custom options’ when it calculates product's final price. Check the full answer to see the final price calculation model. Yes, more than one image can be added for a single product in configurable swatches setup. Magento Color Swatch hides out of stock products. What's more, you can indicate what items of particular size or color are out of stock. Read on to see the screenshot. My site uses jQuery. Will there be any conflicts? No, we have fixed all jQuery conflicts, so Color Swatches Pro will work on smoothly on your site. This is probably the best extension I am using on my website. It does change the image when selected, which gives the customer a view of the product they are purchasing. I usually use this extension and works really fine. These guys really know there stuff. They were able to find our problem and get it fixed fast. Every time we are looking for a feature Amasty is the first place we go. I have few amasty extensions and all works very good, support is excellent, they always help me. Thank you! This is a very useful extension for any kind of configurable product that you wish to present as a not plain vanilla 0815 product. The customer support is helpful, friendly and truly professional. Good extension and excellent support! The Amasty team did a great job adjusting the extension to our template. It does exactly what it says. The guys really rock! The swatches module is the base for apparel sellers. It's intuitive backend is amazing. This is the first time I managed to finetune all options by myself and averything works. I do hope that other amasty modules are of the same quality. Keep on codin'. Best swatch extension out there. Love that this extension not only changes the images but also the price & descriptions. Had an issue with description not updating due to my custom theme, not only did support fix it but they also provided the updated files. Great Support! This extension has revolutionised parts of my store. So many options and fantastic after sales support as usual. The extension works fine, even when I needed some modifications due to needs of my ecommerce, the Amasty team did all I needed. Also, their support always solved my issues. Color Swatches Pro - must have! Sehr gut gemacht! Sehr nützlich! Lockt Kunden und erleichtert auswahl! Außer Farb, Große usw. gibt es auch Zoom Funktion, das ist das Beste! Dokumentation ist sehr ausführlich, kann man damit sehr gut einrichten und sogar ohne Techkentnisse! Excellent support department. They took care of my questions and helped us install and make small minor tweaks when needed! Although the instruction manual could use a little cleaning up, the support once I installed this module was fantastic. The module itself is great -- but it's the support that keeps me coming back to Amasty. Great features, great integrity with Improved Navigation. Made possible to associate standard colors in navigation filters to the number of related swatches from different products on the product list page. So when certain color is selected in filter, you get all the products who's options include the swatches of that color range. 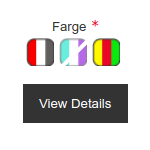 The configurable products show up with selected color in place of main image in the list page. The speed! It makes whole difference. My 3k swatches in db run as fest as just few in original Magento swatches did. Btw, when i tried Magento swatches feature with that number of swatches, i got nothing but time outs. Original Magento does not index swatches in db. Also i expected to get a coupon to the local cinema as a bonus. Well, maybe with next extension. I had some problems initially for my custom theme. but support has been sorted out. I am using magento 1.9.1 with built in swatch functionality but this swatch extension provides that extra features that you see on those large multinational websites. For the price you pay its worth buying this instead of using the built in magento version. You have alot more flexibility choose display options and a lot more functionality you may have thought would be in magento 1.9.1. This solved my problem in ensuring all images shown on a simple product is shown on the configurable page. Support was also outstanding. Brilliant extension and very helpful! 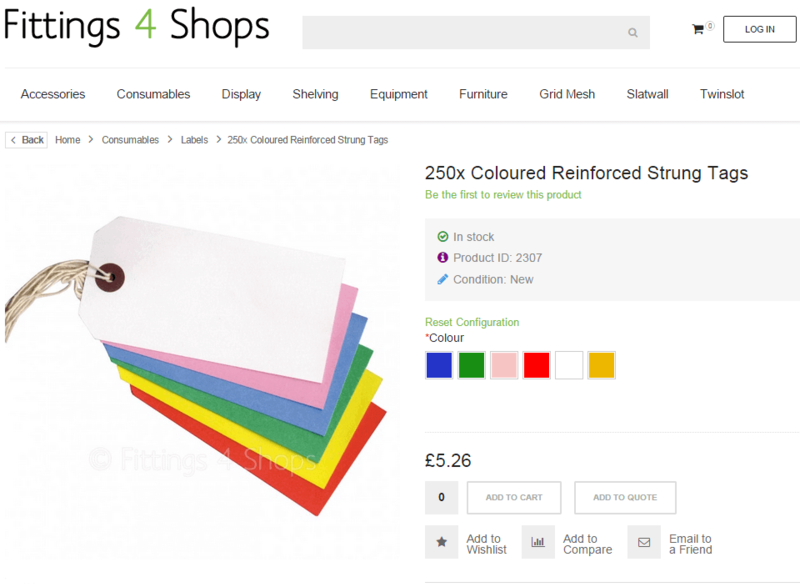 Very good extension for managing colour swatches on our website selling shoes. We had to get the developer to change one setting for us and they sorted it without any issues. We had bought several extensions for color swatches and none of them were working. 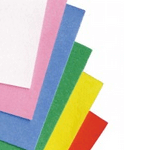 The Amasty color swatches pro does exactly what we want, greatly improving the experience of our customers. Customer and technical service are great, striving to solve some problems we had due to a large number of extensions we have on our shop. Thank you for your extension and time Amasty! This is mandatory for all online store. Much better than I thought. Easy to customise where needed. Brilliant support; helped fix a few issues I had, and desired changes I wanted. Thanks! Very useful extension for not only color attributes, but also for different sizes of the same product, or different package (e.g. dropper bottle or spray bottle). Allows customer to select the most important option right on the category page with visual feedback. 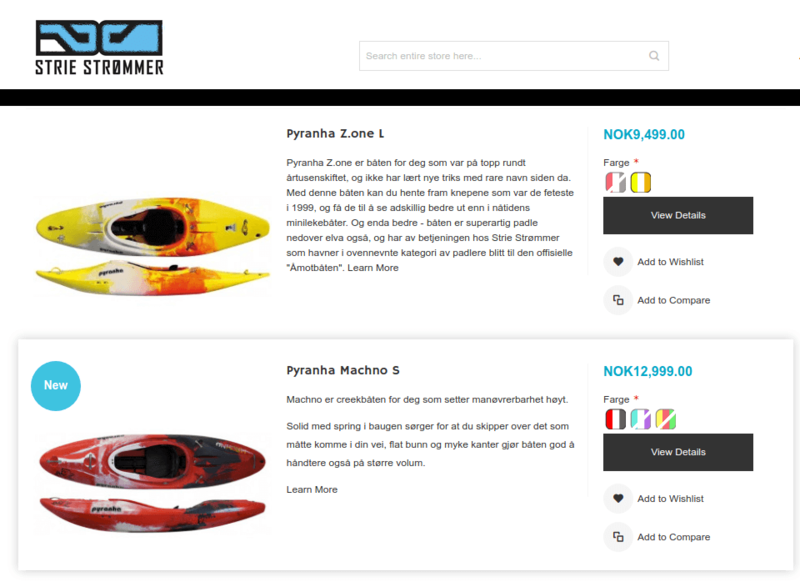 Works great with Amasty Ajax Shopping Cart for quick ordering directly from the category page. Support is superb for implementation and for further customization. I’ve been using this extension for some time already and completely happy with it. The thing I like most is the ability to display the lowest price of a configurable product in a catalog. And of course, presentation of product options is great. It took some time to understand and configure the settings, most of them are quite easy to understand but there are many of them which can be confusing. There was a minor problem when I upgraded to Magento 1.9. Amasty support fixed it quickly and now it works great again. I really liked this swatch module initially (at first sight). Now I’ve been using it for 2 weeks already, and I love it. The set up process wasn’t smooth. It conflicted with another extension, and everything was fixed in the shortest terms. Actually with these guys help is always just one email away. That is one of the reasons I like Amasty; their products and post-sale service are both second to none. I only would like to see some exclusive features in this module; it should do more than all the equivalent products. 4 stars for now but you are on the right track. This module is a must-have for all stores with lots of configurable products. We sell clothing and accessories, so we just have to allow our customers pick different colors for the items they choose. The plugin does exactly what we wanted. Set up process was a bit tricky, and support manager cleared it all for us. Very good! Good tool to enrich the functionality of your store. It covers all the ‘must-have’ features and a bit more. The module come with very detailed instructions so you installing and configuring it doesn’t give headaches. If the store specifics presupposes the display of product samples - this is one of the best plugins for you. I'm more than happy to have amasty swatches installed. It's very easy to upload all necessary pics for different attributes. Of course not everything was so sweet and sunny about the app. Right after the installation I found out I refused working with my custom theme. It took tech support guys about 3 days to reply to my call for urgent help, so the help appeared no so urgent as I expected. Averall, now I'm absolutely satisfied with this module and highly recommend to others. Good tool to enrich the functionality of your store. It covers all the ‘must-have’ features and a bit more. The module comes with very detailed instructions so you installing and configuring it doesn’t cause any troubles.I’m satisfied in general, but I kind of expected something more from Amasty, so that’s why just 4 stars. User-friendly, helpful and quite fast, I had no trouble understanding the settings. What else can I say? Brilliant! This was my first purchase from Amasty and it was not flawless. At first I had some conflicts which were fixed by the support team. A few days later something broke again and I wrote 3 emails to Amasty and received no answer. I cancelled the order and asked for money back. As it turned out, the emails were not sent somehow and Amasty never received them. Once it was cleared out and all the issues were fixed, the extension works perfectly so I don't need to cancel the order anymore. There are no suitable words that could describe my feelings about this plugin. Finally after 3 poorly run tools I've found this one. Yes, I do recommend everyone to get it installed, yes it will work with third party mods and custom themes. I was skeptical about the extension due to the previous sad experience with similar extensions. But this one works as it promises. Thank you Amasty! This is one of the main extensions in my store. I've been using it for 2 years already. When I upgraded magento to 1.9 I thought that its color swatch would be similar and I won't need Amasty extension anymore. I tried it but soon understood that the extension is much more flexible than the default Magento color swatch. Good job, Amasty. The best support ever! Being a newbie in Magento, I can't imagine how extensions and the system itself works. I have the extension installed and configured by Amasty support (special thanks to Alexey for his patience). Now the extension works as described on this page. So what can I add? I'm happy! After suffering with a different extension from another developer , having this one from Amasty is a major improvement. Extension functions and when we needed any support at all of any type they always helped. For the launch of our new egjewelry.com site we will be using nothing but amasty extensions. Good but not perfect. There could have been more options especially if to consider that starting from 1.9 Magento has color swatch by default. Solid and reliable module that makes your store better. It would be good if getting it to work and configuring didn’t take us quite as long. Otherwise it works exactly as described. If you are searching for a plugin with such functionality, you should stick to this one. It’s definitely better than the others we’ve tried so far. Usually a have a hard time dealing with technical matters, but I managed to install the addon myself (lucky me!). Well, to be honest, I’ve sent just one ticket requesting some clarifications, but other than that the addon is very user-friendly, almost intuitive. And it looks beautiful on the frontend, just as expected. Superb! We are using swatch pro for years now. Not only has it worked great, but Amasty support is great. We have recently updated the extension after upgrading Magento CE, they help us with all of our questions and reguests not only in a timely manner but accomplished what we are looking for. We highly recommend to use Amasty's extensions.they will make it work for you and help you with anything extension related. Ivan from support is great! Before we bought Color Swatches Pro we spent some time configuring RWD configurable swatches but there just wasn't enough of options. After we bought Color Swatches Pro we had some problem with theme intergration. Even though those weren't bugs, they were more like extension modifications, Amesty support team helped to solve them. If you are looking for attribute selector extension with images for sizes/colors/... instead of dropdowns, this is the extension for you. Great improvement. The build in function from magento 1.9.1 doesn't really help. Have used a number of extensions made by Amasty and have always received great support. The Color Swatch Pro just takes the configurable products function to the next level as there is so much you can do with it to give the customer a more visual look and ability to select products easier. Easy to install, and work with, but if you do have difficulty Amasty is there to help quite quickly. Best extension and fast support! Very multifunctional module! Best support! Very good work! Not only does this extension give you loads of fantastic options to sell you products with colour block, images etc, it also changes the images once selected and the price and the title and the description! It's brilliant just for the changing as any other website does (no in Magento) but to have the colours too is great. But hang on, if only that was the end of my review. The support is out of this world. I have purchased a number of extensions from Amasty and whenever I have needed help or even tweaks, they step up and help. No, sorry that will cost you $£$£, no moaning, just happy to help and very knowledgable. We trust these people so much we have purchased the bulk of all our extensions from them. Fantastic extensions and even more fantastic support! 5* all round! A must - have for a clothes store. When you sell clothes and each piece has different colors, this extension is a must-have. We also have some products that are available with different textiles, so each option has its price. Amasty extension handles this perfectly as it automatically shows the price of the simple product that is currently chosen by customer. Hey Amasty, thanks for that extension, it’s great regardless of all the bugs we found! Best Decision I've made with Magento Extensions! Amasty has provided me amazing support in modifying and fixing the issues I have had with Color Swatches. I needed a lot of customization and they were able to make everything work! I even had extra extensions added that color swatches has been integrated into. I highly recommend this extension to anyone looking to bring great attribute images to your products. It goes really well with their layered navigation as well!!! Take a look at our website and see the great work they have helped to make! Is a nice module and when i had one problem they solved. Easy to install, works as described, had one problem with my version of magento (compatibility with the extension) contacted support and they fixed the problem. Perfect - Just what I had been looking for!! Easy to install, and exactly what I had been looking for, a way for potential customers to easily select a configurable product by the use of simple images. Support is 1st class, I had one minor issue with a feature and the support team fixed it within 30 minutes of my support ticket, you can't get much better than that. I would have no hesitation in buying any Amasty product. This extension is really helpful when you have configurable products in various colors. I experienced some compatibility issues with my custom Magento theme, but Amasty support managed to solve the issue. Support was fast and dedicated. Thank you! This is one of the best color selector modules in the market. It's east configuration and numerous options have visibly facilitated the process of configurable items selection. This is the only of the extensions I tried which started to work with my custom theme out of the box. That's really great, as I did not spend any time with my developer to make it compatible. Great extension! New zoom is amazing! The new zoom component is amazing! We've been using this extension for almost a year, and it becomes better and better with each update! Thanks Amasty! I don't know why anyone would by extensions from any other developer. You don't want to be woken up at 2am because there is a problem with an extension. These guys write excellent code and support it too. complicated install on a custom theme and they went above and beyond to get it working. I have my entire extension budget earmarked to spend with these guys. I cannot speak highly of them enough. It looks like you are looking for a swatch solution and probably have evaluated 5 or so competitors. I did the same thing.In fact, I went in detail looking through all the features and ranking them to finally come up with amasty as the winner. save yourself all that hassle and buy this now. set and forget and go back to the fun reasons you started a store! Although I really like this plugin, I have to give it only 2 stars as I spent an entire day debugging it due to the fact that it conflicts with Magento's built-in Enterprise zoom. The Jqzoom that comes with Enterprise has an older version of Jquery and that prevents this plugin from working correctly. After deleting that older version I was able to get this to work but it was a lot of trial-and-error before figuring that out. Please include this in the directions so others don't have to spend that time. We had tried two other colour extensions for Magento, but both of them lacked features and development was either very slow or non existent. Amasty on the other hand is a company that never fails to keep things up to date and is always improving their extensions. Color Swatches Pro is not just a perfect colour managment system it is also a greatly simplifies the managment of configurable products in Magento with Ajax. After installing the extension customers stopped asking so many questions about appearance of goods (I'm selling shoes). It's much easier to work now. Great extension and functionality. 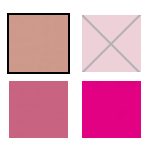 Fantastic - Don't go elsewhere for your color swatch extension!!! Firstly, the support from these guys is first class - they respond quickly and actually give you good news instead of bad. Their code is excellent also. They have free plugins and obv paid ones, I am now using two of their fantastic plugins and will no doubt be looking to buy some more of them. DON'T BUY YOUR SWATCHES PLUGIN FROM ANYWHERE ELSE - this is the best one by far. Trust me on this, this one has the most functionality and ease of use. The fact that I can let cusotmers buy from the catalog pages is obviously going to increase conversion rates. DO INVEST IN THIS IF YOU WANT TO HAVE A BETTER CATALOGUE THAN THE COMPETITION - it's ease of use for customers will pay itself off in only a few sales. When using this with configurable products the name, price, product image and description changes when the option image is clicked. This lets the customer see exactly what they are buying. Really great extension. I installed the plugin but it didn't work first try, this was quickly rectified by Amasty team. I'm using a custom theme with Wordpress integration and quite a bit of custom code - the plug-in still works really well. I am always looking for a color swatch that can use the simple products thumbnail as color option. Now I found it. Easy install process. But we use an own theme, and the support team helped us really quickly. We got of every question an answer and all little problems would solved. Now we have a better user experience for our guest, like it should be. 5 stars! the support helps me everytime to find a fast and optimal solution. Thank you!